Report: Income Inequality Worse Under Mayor de BlasioThe tale of two cities continues. Portland Will Make Companies With Overpaid CEOs Shell Out More in TaxesCorporations with executives who make more than 100 times what their workers do will be subject to a surtax. 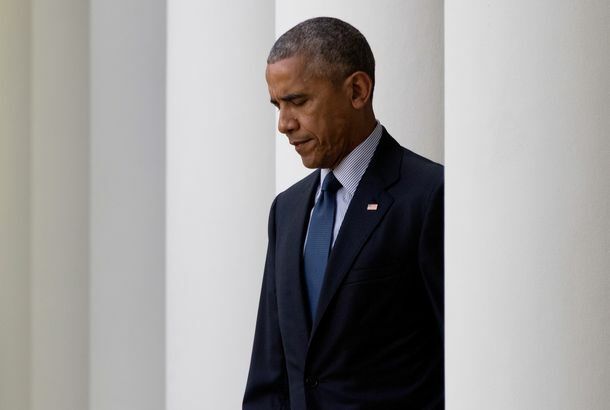 Barack Obama Makes the Malcontent’s Case for the Center LeftIn an op-ed, Obama grapples with the economic problems that fuel populist discontent, but argues that the center left offers the best hope for change. The Rich Far Outlive the Poor, Except in NYCA new study finds that the life expectancy of low-income Americans varies widely by locality. This Right-Wing Radio Host Is Starting to Sound Like Bernie SandersHugh Hewitt wants to take down the billionaire class. We Are One Step Closer to Pay TransparencyThe S.E.C. will now require companies to disclose the salary gap between their CEOs and employees. Is America Catching Up With Robert Reich’s Income-Inequality Crusade?The former Labor secretary and middle-class champion talks to us about his new film. Elle Readers Choose to Ignore Gender Wage GapIt still exists, but people sure have a hard time believing it. Romney Defends Inequality of OpportunityDid Romney just blow the big philosophical debate of the Obama era?